Our attorneys have noticed the confusion, rumors, and misinformation out there regarding elder law, nursing homes, and Medicaid. A vast amount of state and federal laws are involved, and many of these rules can be confused with similar (yet decidedly different) tax planning, estate planning, and probate concepts. At the Piatchek Law Firm, we can help you navigate all of the various local, state, and federal agencies and laws that are involved in long-term care planning. In addition, we can help you understand what is true, what is not, and how things really work. Quite frankly, listening to your friends, family, TV, or (especially) the Internet is likely harming you more than it is helping. You need to seek out the advice and counsel of a reputable attorney experienced in elder law. Proper planning completed by a qualified attorney can help seniors protect the assets they have worked their whole lives to attain, especially in the event that they require nursing home care. 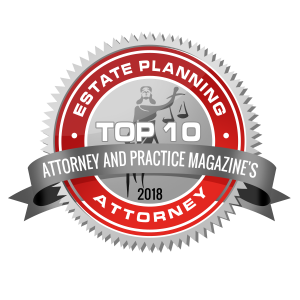 In addition to setting up proper estate planning, you may also need to address such items as long-term care planning, nursing home planning, and Medicaid planning. 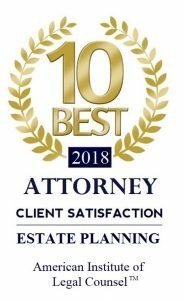 Standard estate planning often just refers to setting up your will or trust, powers of attorney, and health care directives to ensure that your affairs are handled in an orderly fashion if you become incapacitated or pass away. Long-term care planning, Medicaid planning, and nursing home planning offer much more than that. These types of advanced planning focus not only on delivering your assets to the next generation, but also on making sure those assets are preserved and protected. Without proper planning, the assets you have worked your entire life to attain can be eaten up by creditors like nursing homes and the government. What good is estate planning if you don’t have anything left, because your property and assets were all used to pay for your nursing home stay? Medicaid is a state and federal government assistance program designed to help those who cannot afford to pay for their own health care, and it is now known in Missouri as MOHealthNet. Medicaid includes a program that assists seniors with low income and limited assets in paying for nursing home care. Additional programs may assist seniors with some services outside of nursing home care. Most seniors are concerned that if they ever go into a skilled nursing facility, all of their assets will be lost paying for their care. However, in most cases, an elder law attorney can assist with protecting assets (and perhaps saving those assets) when a senior is going into a nursing home. This is a very complex area of law, and no two people have the same set of circumstances. There are many different stages and types of planning that can occur before a senior enters a nursing home. Many people that need nursing home care fall into one of the three common scenarios described in detail below. Sometimes people attempt to get assets out of their own name, so that they can qualify for Medicaid and have the state pay for their nursing home stay. However, this can be a dangerous and complicated process, and there are many pitfalls. Therefore, when a person expects to be five years or more away from the need for such services (due to factors like age, health, wealth, and services/benefits they receive), or if the person has a long-term care insurance policy that would pay for nursing care, it may be appropriate to consider gifting property and money directly to family members or gifting the property and assets to an Irrevocable Missouri Asset Protection Trust or Medicaid Asset Protection Trust. This can be a very complicated process and should never be attempted without the advice and counsel of an experienced attorney. Many people believe that when a person is about to go into a nursing home (or perhaps is already in a nursing home), it is too late to protect any of their assets. This is not necessarily true, and you should never just assume this. A qualified attorney still has many options available for the protection of assets, as long as the senior has not yet applied for the Medicaid/MOHealthNet program, which assists in paying for the skilled nursing facility. Even though there are penalties associated with gifting within the Five Year Look Back Period, as described above, there are still strategic, last-minute gifting techniques that can save a portion (or sometimes all) of a person’s assets. Additionally, depending on the situation, seniors and their families may qualify for and take advantage of several exceptions. Several strategies can be used to protect assets when one spouse continues to live at home (Community Spouse) while the other enters a skilled nursing facility (Institutional Spouse). Certain spend-down tactics and estate planning considerations are very effective and can provide ways to save some (or all) of the couple’s assets from being spent on the nursing home. In fact, many times 50-100% of the couple’s assets can be saved. Consult with our attorneys to discuss your concerns and find out how we can help you. Simply call our offices at 417-882-5858 to schedule a complimentary consultation.